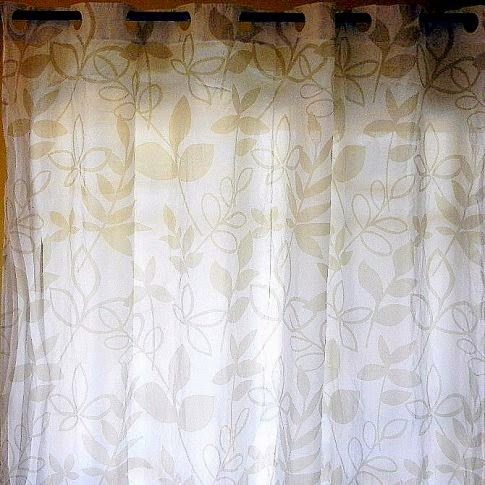 White shower curtain with brown flowers adds color and privacy to you bathroom. White eyelet heading for shower curtain..
Head tape on window curtain. 71"l x 71"w shower curtain. 34"w x 54"l window curtain.